Do you lose air when you disconnect a shock pump from a suspension air chamber? Many people think so. It’s time to bust some myths. We’ve all been there, pumping away 186..187..188..189..190. After reaching the desired pressure we carefully unscrew the shock pump, only to be startled by a small hiss of air. Where did that come from? Our world floods with doubt. 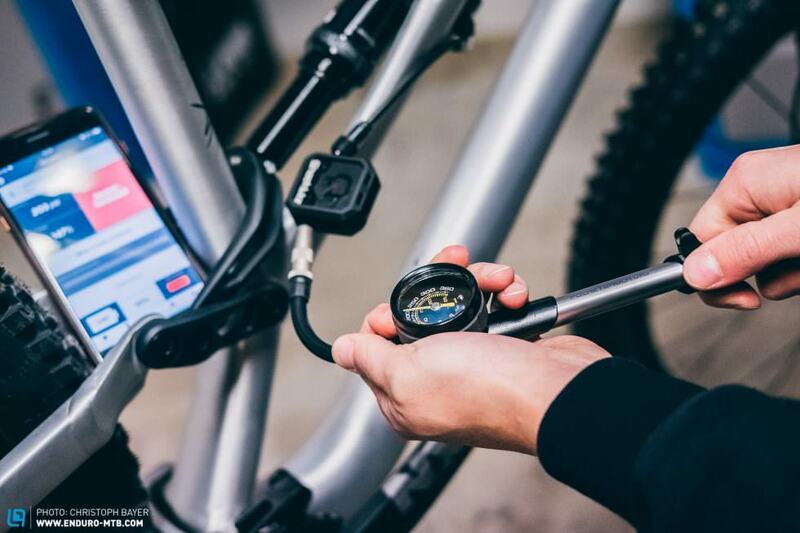 We know we shouldn’t, but we reconnect the shock pump to check and find that the pressure has dropped 10 Psi, what’s going on? Many forum dwellers believe air is lost when you remove the shock pump. We’ve even seen people adding extra air to make up for this supposed shortfall – crazy. Or they buy expensive additional no-loss valves to screw on to their shock pump. Let’s set the record straight, when you remove the shock pump head from the valve, NO air is lost from the suspension air chamber. 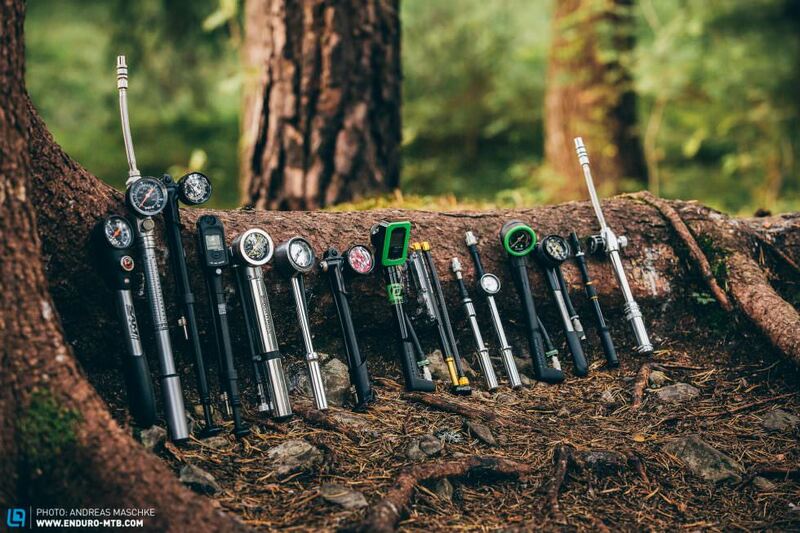 To prove our point, we took the 15 shock pumps from our shock pump group test (read the full article in ENDURO issue #037), and using a ShockWiz mounted in between the pump and suspension air chamber, found that after some vigorous screwing, none of the shock pumps allowed air to leak during removal if they are used correctly. A shock pump heads sole function is to not lose air. When you attach the pump head to a valve it first creates an air-tight seal between the pump head and valve body. As you screw the head on further, internally a pin presses on the suspension units valve core, opening the valve and allowing air to move between the suspension air chamber and pump body. The pressure in the suspension air chamber drops as it equalises with the additional volume of the pump and hose. After re-pressurising the suspension air chamber to the desired pressure it’s time to remove the shock pump. As you unscrew the pump head, internally the pin releases the suspension units valve core, closing the valve before the seal between the pump and valve is broken. The air you hear being released is the pressure from the pump body and hose, escaping with the trademark ‘psssst’. The pressure in the suspension air chamber is still exactly as you intended because the valve is closed. If you re-attach the pump to check, the pressure will drop as the pump and hose equalise! There are many different pump head designs, some are more complex than others but all work the same way. Don’t believe the hype. What about those special air – loss free heads? 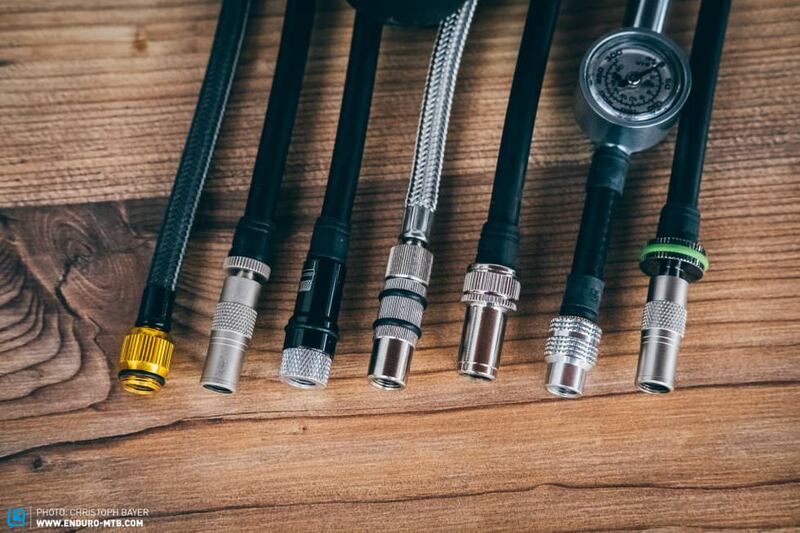 The bike industry is not above selling some snake oil every now and again, and quick to cash in on the myth of ‘air loss’ some shock pumps now come with ‘loss-free’ heads designed to solve the non-existent problem. These heads can do more harm than good as if the head is operated incorrectly the pin holds the valve open as the pump head is removed, losing air and creating a problem where none existed before. Don’t believe the hype. But I’m still losing air? The only way you can lose air from the system is if the shock pump seal is damaged, hair, dirt or damage to the pump head seal will allow air to creep out between the valve and pump head and lose pressure. 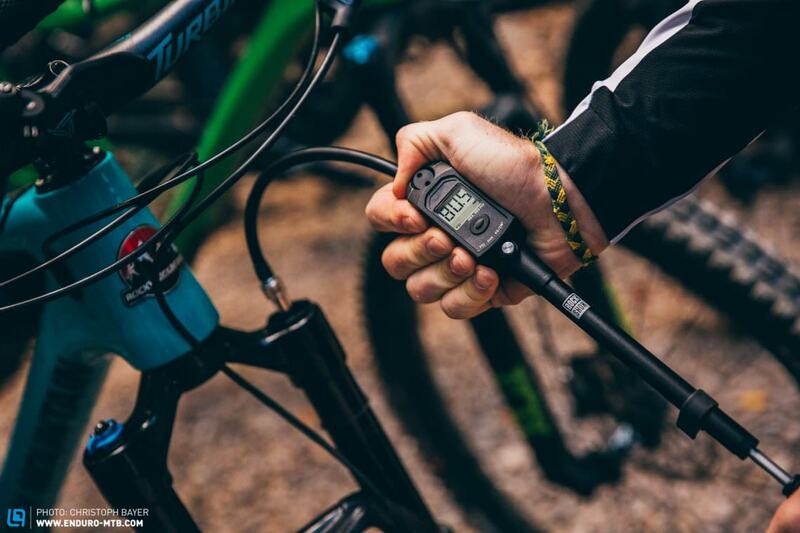 Some very cheap pumps may be more prone to leaking, if your pump is a concern, check out our shock pump grouptest in ENDURO issue #037 to make the best investment.